Andy Serkis is not worth being with the actor who revolutionized the field of interpretations generated from the technique of motion capture. The interpreter who has achieved that César, Gollum or King Kong are much more recognizable and empathetic characters than many of the humans who accompanied them in their respective adventures is behind the cameras of a project based on real events and that has little to do with the movies that have made him an unlikely world star. Interestingly, ‘Breathe’ is not the first film he has directed. The Briton filmed before another version of ‘The book of the jungle’, but the complex postproduction has made the public go before his second project as director. 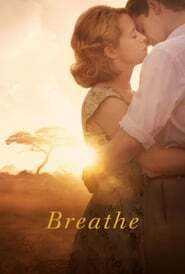 Breathe ‘is the story of Robin Cavendish (Andrew Garfield), an Englishman who is paralyzed at 28 years because of polio. Doctors’ diagnosis is lethal: they only give it three months to live. The support of Diana (Claire Foy), his wife, will be essential for Robin to travel around the world transforming the lives of other patients, becoming a pioneer spokesperson for the rights of the disabled. Concerns about management are not new to Andy Serkis. For years the British interpreter was in charge of the second unit of the three installments of the trilogy of ‘The Hobbit’. In theory, ‘Breathe’ is not the kind of project that interests him, but when he discovered the story of Robin and Diana through Jonathan Cavendish, the son of the couple and producer of the film, he realized that he was unable to remove himself. the project of the head. It seemed a very beautiful story that the world should know and is exactly what he has done: a romantic, precious and optimistic film in which the support of the environment and the love of the couple can help fight, not defeat, such a disease lethal like polio.